Jennifer Hatleberg Library	 A brief introduction to creating in-text citations, using the MLA format. 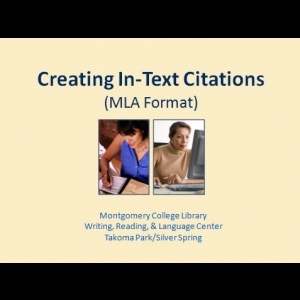 A brief introduction to creating in-text citations, using the MLA format. Embed "Creating In-Text Citations" on your page.